Dance Classes, Lessons, Events & Courses for Ceroc Fleet. 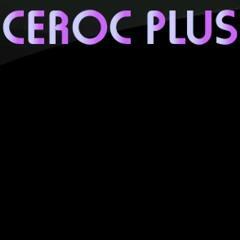 Ceroc Plus is part of the Ceroc network of franchise companies and provides modern jive and lindy hop dance lessons in the Hampshire area. Modern Jive is a fusion of Jive and Salsa that is easy to learn, sociable and fun; it can be danced to most music from 40's swing through to current chart hits. Lindy Hop is an Afro-American swing dance that originated in America's black ghettos in the late 1920s. Event Organiser, Regular Dance Classes. Dance Styles: Ceroc. All Entries for Harlington Centre Venue. Car Parking. The Harlington is a purpose built entertainment venue in the heart of Fleet, Hampshire. It is a large airy venue with a sprung wooden floor, a licensed bar, in-built air cooling as well as jumbo and floor fans, separate social areas, and a great sound. With Dan Slape, Simon & Lynne, Sarah Sentence. DJs: Sarah Sentence, Peter Phillips, Ali Goodacre. Jive (French & Modern), Lindy Hop, Ceroc Instruction, Practice. £6.00 for whole evening.Modern Jive (Beginners), Lindy Hop (General Level). Jive (French & Modern), Ceroc Instruction at Int/Advanced to Advanced level, Practice at Int/Advanced to Advanced level. £7.00 for whole evening.Every 1st Thursday of the month: Advanced Modern Jive lesson with guest teacher in lieu of Intermediate modern jive lesson. Jive (French & Modern), Ceroc Instruction, Practice. £7.00 for whole evening.Modern Jive (Intermediate), Jive Fusion (Int./Adv. ).